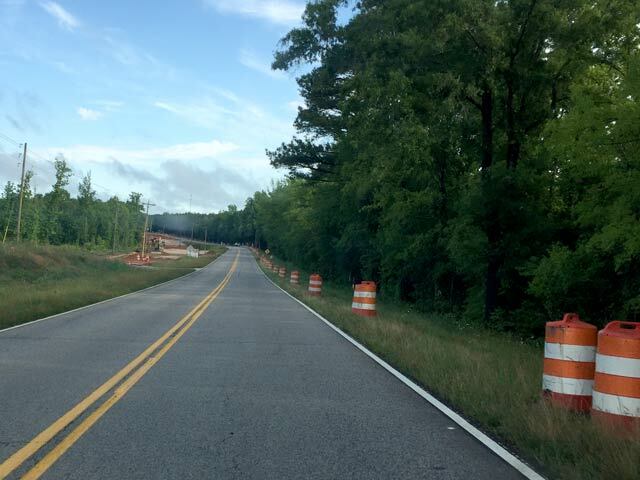 June 4, 2015– Another bridge in Edgefield County is getting a make-over. This time it is the bridge at Log Creek on Hwy 25 North. A spokesperson with Saluda Construction, the company in charge of the project, told The Advertiser in an interview that construction on the bridge began on March 13 of this year. The Log Creek project will be a total bridge replacement and will be similar to the bridge replacement done at Turkey Creek with the new bridge being built beside the old. Unlike the bridge work currently being done on Garrett Road, there will be no road closures on Hwy 25 North for the project. However, the company’s spokesperson did say that there will be lane closures “from time to time” as warranted. Additionally, the spokesperson said that the speed limit will be reduced in this area to 45 mph during construction and that the area will be made a No Passing zone. The speed limit change will be marked with signage, and the passing zone will be notated with painted double yellow lines. These changes are only temporary; speed and passing will revert to normal after construction has ended. The new bridge is expected to be completed by the end of Aug. 2016.